THE MERCHANDISE BELOW IS FOR NAM KNIGHTS MEMBERS ONLY! If you are purchasing a MEMBERS ONLY item as a gift for a member, you must have it shipped directly to the member. If for any reason this is not possible please contact us! Nam Knights Motorcycle Club membership will be verified before all orders are shipped. PayPal Shopping Cart not working? Email your order to webmaster@tribasenamknights.org and request an invoice. 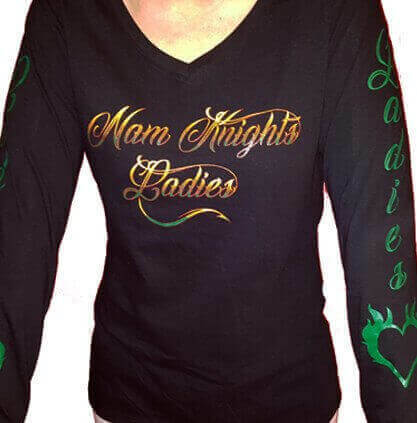 Features Nam Knight Ladies heart and barb wire art on front. 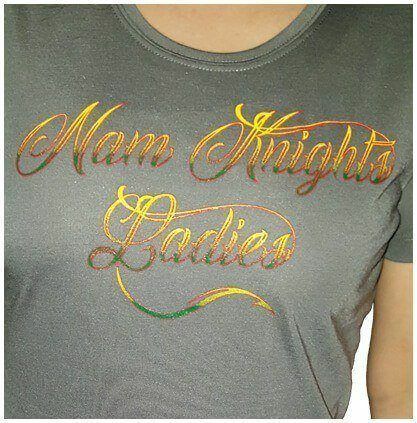 Features Nam Knight Ladies script logo on a scoop neck t-shirt. 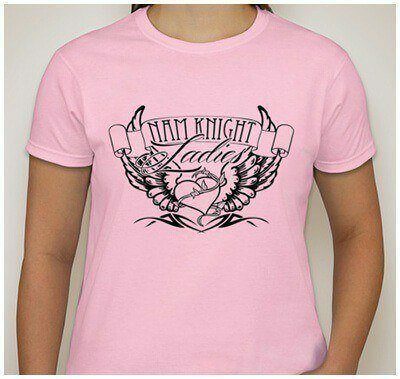 Features Nam Knight Ladies logo on front left breast. 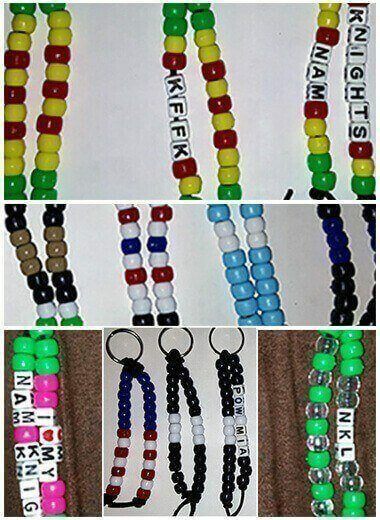 Hand made bead key chains are made by Nam Knights Lady Itsy of the Tri-Base Chapter. Key chains feature metal key ring with plastic pony beads, and black leather material. 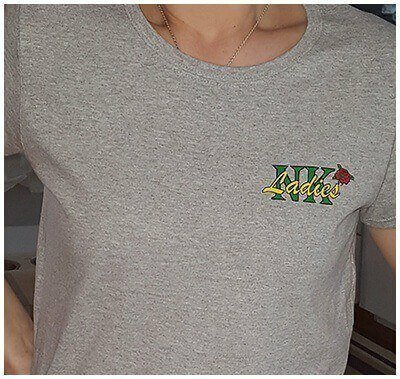 Ladies v-neck long sleeve shirt. Features Nam Knights Ladies on the front with a dragon's tail underneath. Has "Ladies" with heart logo on both sleeves. 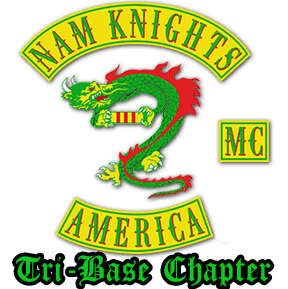 - Nam Knights of America Motorcycle Club - Tri-Base Chapter. All Rights Reserved.